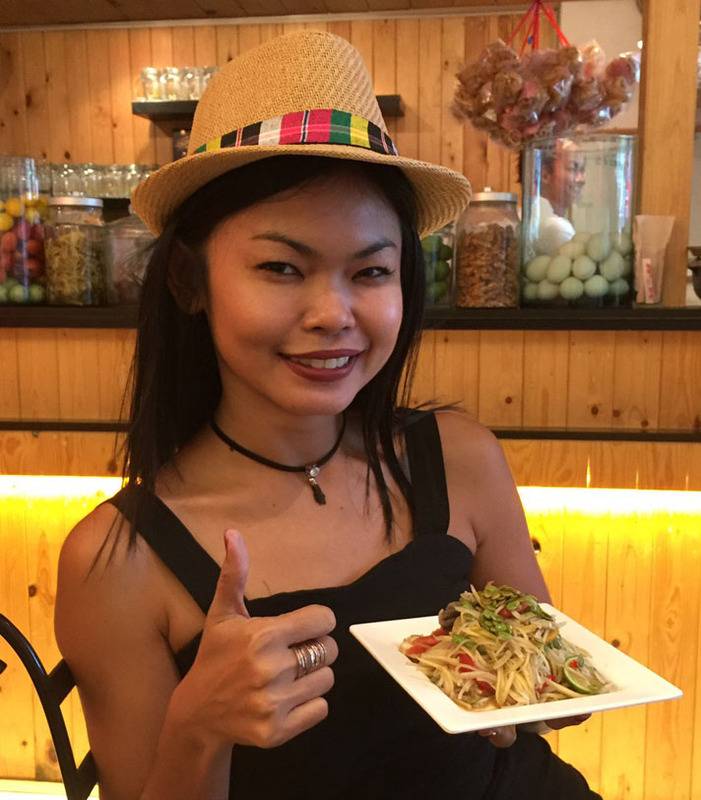 Originally from the KhonKaen province, Posh grew up eating her Mom’s delicious Northeastern Thai dishes. As an only child, her mother preferred that she played with her friends instead of helping in the kitchen. While Posh did not learn to cook as a young girl, she did develop an early appreciation for food. While living in the US as a language exchange student, Posh started to cook for her foreign friends who loved all of her Thai dishes. She has been cooking ever since. After working as an interpreter for the US and Australian embassies for a decade, Posh now works in PR. She is extremely passionate about eating, cooking, trying new restaurants and writing Trip Advisor reviews. In-home meal: (1-3 guests) Enjoy an authentic Thai meal with Posh at her dining table. Your menu might include dishes such as tom kha gai (chicken simmered in coconut milk soup), somtam (papaya salad), phad gaphrao gai (chicken stir fried with basil), gai tood nam plaa (fried chicken that has been marinated in fish sauce, white pepper, white sesame seed, and toasted rice powder) and for dessert, pumpkin in sweetened coconut milk. Cooking experience: (1-3 guests) Join Posh in the kitchen of her modern apartment. In this hands-on cooking lesson, learn to cook a combination of central and Northeastern Thai dishes. Your cooking class will last about an hour and you will learn to cook 1-2 dishes before sharing the meal you helped prepare with your host at her dining table.